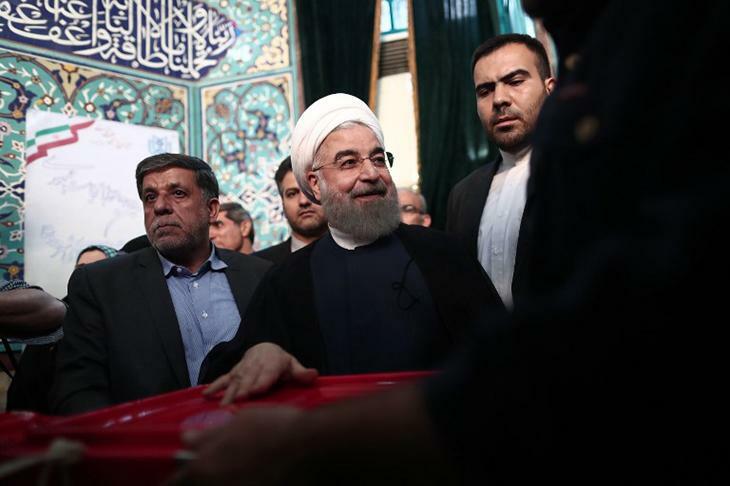 In the keenly-contested Iranian Presidential polls held on Friday, more than 56 million voters exercised their franchise to decide the fate of incumbent Hassan Rouhani and his strongest opponent Ebrahim Raisi. Tehran Mayor Mohammad Baqr Qalibaf's last minute withdrawal in favour of Raisi has made the contest interesting. 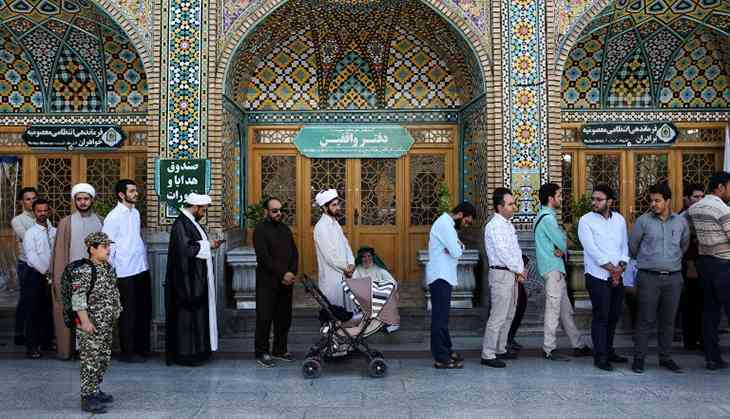 In 2013, Rouhani had won the polls without the need for a run-off. This time, too, there could be a similar result, since only two strong candidates remain in the fray. The outcome of the polls, which would be clear in the coming days, will also decide the fate of the key reforms pushed by the Rouhani regime, including the important nuclear deal with the P5+1 countries, which led to an easing of Western sanctions, and the push to open up an otherwise inward-looking economy. In a sign of change in Iran from the days of the 2009 Green Revolution, there were no restrictions on social media. Iran is the second largest economy in the Middle East, the fourth largest crude oil reserve, and the world’s second largest natural gas reserve. There is a lot at stake, not just for those who want Iran to open up to the world and for the new President to push a reform agenda, but also those in the clergy who want to shun the West and continue the Islamic Revolution rhetoric. The latter believe that opening up the economy and easing controls could loosen their hold, and instead advocate what they call 'the resistance economy'. This group is represented by Raisi, said to be a close confidant of Supreme Leader Ayatollah Ali Khamenei, with scant experience of working in the executive. A term at the Presidency could bolster his chances to succeed Khamenei as the Supreme Leader, the most powerful office in the Islamic Republic. With Donald Trump in the White House, a great sense of unpredictability has crept over what the US will do diplomatically during his term. Even as Iran votes to choose a new President, Trump, in his first official foreign visit, will be in Saudi Arabia and Israel, two Middle Eastern countries and key US allies, who have been the strongest critics of the Iranian regime. Both the US and Iran are heavily invested in the theatres of conflicts in Syria, Iraq, Yemen, Afghanistan et al. And Trump, since taking over from Barack Obama, has been warning Iran how it won’t be business as usual, signalling a rethink on the nuclear deal, and how the US administration deals with the situation in Syria, which continues to be unstable since the violence erupted over half a decade ago. With the entry of the savage terror outfit, the ISIS, the situation has become even more complex in a theatre of war, where it was anyway difficult to sift through who qualified as a 'rebel' and who belonged to terror outfits like Al Qaeda, since both the rebels and the Al Qaeda sought to overthrow Bashar al Assad's regime. Iran has been standing firmly behind Assad with the support of the Hezbollah, the powerful armed group from neighbouring Lebanon. The Anti-Iran lobby in the US hopes Raisi comes to power. Elliott Abrams, the Deputy National Security Advisor in the George W Bush regime, wrote in an article how “Raisi is the true face of the Islamic Republic, while Rouhani is a facade”, and that “Rouhani has shown himself powerless to effect any change in the regime's conduct, and his only role is to mislead the West into thinking 'moderates' are in charge”. How Iran carries out diplomacy is more complex that what Abrams may want us to believe. Rouhani and the suave Javad Zarif, the foreign minister in the outgoing government, showed how there was space to manoeuvre, despite the all-encompassing and powerful office of the Supreme Leader. As Maysam Behravesh argued in an article how “the President can be a 'moderator' or 'intensifier' of the Islamic Republic's core foreign policy approach formulated by the domineering leadership structure”. It is not going to be an easy run for Rouhani. The Iranian economy is yet to see a flood of foreign investments, which were projected to come in after the easing of the sanctions. Last year's figures showed a measly amount of less than $15 billion trickle in. There has also been a rise in the unemployment rate. All of this has given opponents like Raisi – well known for his role in execution of hundreds of 'anti-revolutionary' dissidents in the late 1980s, and again in advocating the execution of nine dissidents as the deputy head of the Iranian judiciary after the 2009 post-election result protests – many weapons to attack Rouhani with. The claim that Iran has ceded too much to the West, with promises of more dole for the unemployed and promises of more jobs by the Raisi camp, could make the going tough for Rouhani. No Iranian President has won a second straight term in the last more than three decades.